Situated on the enviable Iron Cove Bay, UTS Haberfield Club is the first NSW licenced club to be completely redeveloped in 10 years. This picturesque location is the perfect spot for lunch, dinner or a relaxing drink. The club comprises the licensed dining and recreation club upstairs and the rowing club downstairs (UTS Rowing Club). 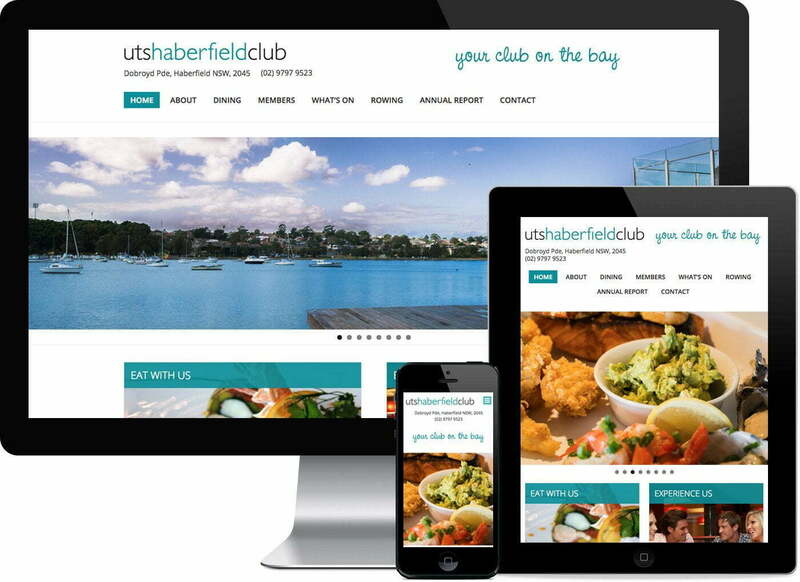 The UTS Haberfield Club on the gorgeous Iron Cove Bay in Sydney has recently been renovated. This responsive website was designed in conjunction with the renovations to reflect the simple, sophisticated elegance of the new look club. The client’s brief required us to build a modern and easy to navigate website that showcased the clubs beautiful location. Simplicity was the key to this design with spacious content and user friendly navigation.